The fitness industry is bombarded with so much information about fitness. Everyone has the secret of how to cure the obesity epidemic that is plaguing this country. 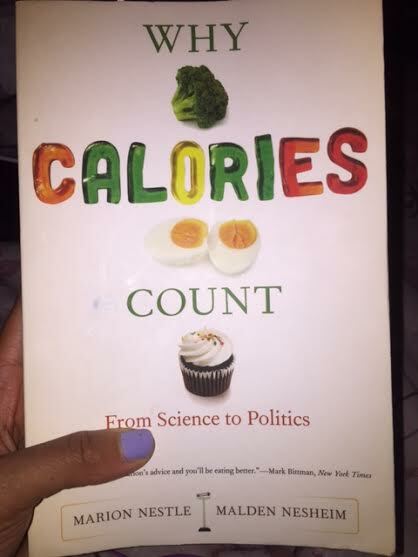 This book is NOT a diet book. It is a foundation to learn about calories. Who was the first person to figure out the amount of protein, fat, carbs and calories in different foods. How the government plays a large roll in the foods that are put in the stores and also, what is and isn’t allowed in our food. Regulation’s do not always have our best interest at heart. This book is written by one of the foremost authorities on Nutrition, Marion Nestle. I’ve read several other of her books and this women is excellent and giving scientifically based REAL facts about nutrition and the effects it can have on people’s bodies. I suggest this book to anyone who wants a foundation in nutrition. This book is not for a body builder or someone looking for a regimented eating plan. Some of the ideas in it don’t apply to me because I run long distances and also lift heavy. But, it is an excellent starting point for people. Who need to understand that what you put in your body really does matter. If you decide to read this book I promise you will not be disappointed. Previous Post Taking Care of Yourself. Next Post Hello Warm Weather! Eat, Sleep, Run, Repeat... Oh, and raising a family.